Courtesy of The Richardson Group, Michael Richardson. 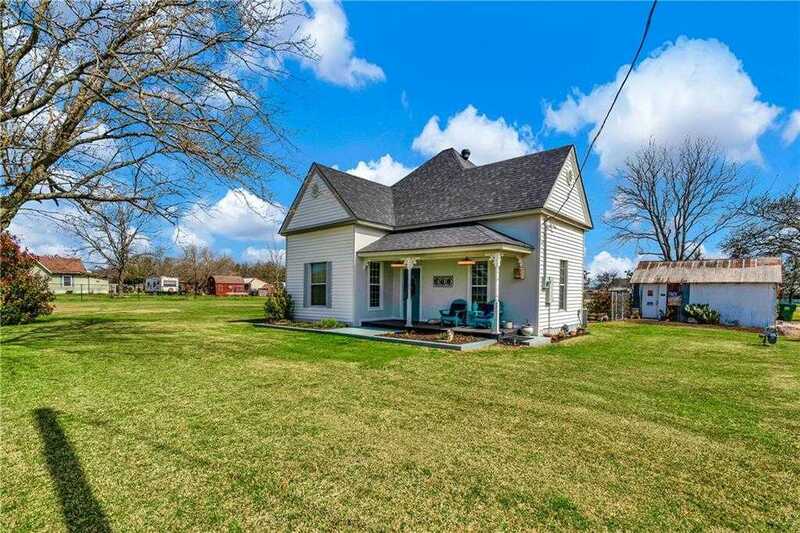 Beautiful Early American style home with covered front sitting porch.D;A;Home has high ceilings and is uniquely decorated and has modern Thermal windows.D;A;Home has been remodeled and had new AC Furnace approx. 6 yrs old and new Roof and siding approx. 2 yrs old.D;A;Property has a 17-21 Man Shack and 10-16 She shed.D;A;Back of property has Hwy 171 frontage for potential Business venture and side lot is large enough for future extended family home or rental home. Please, send me more information on this property: MLS# 14061478 – $189,900 – Itasca, TX 76055. I would like to schedule a private showing for this property: MLS# 14061478 – $189,900 – Itasca, TX 76055.